Bring extra sparkle to your big day! Treat yourself and your bridal party to 25% off our entire site by using the code: BRIDALPARTY25 at the checkout. While you’re shopping, help support a great cause! For every piece purchased from the Party line, Lydell NYC will donate a piece of jewelry to Project Glimmer as a gift for underprivileged teen girls. Help inspire positive change and shop the Party line. 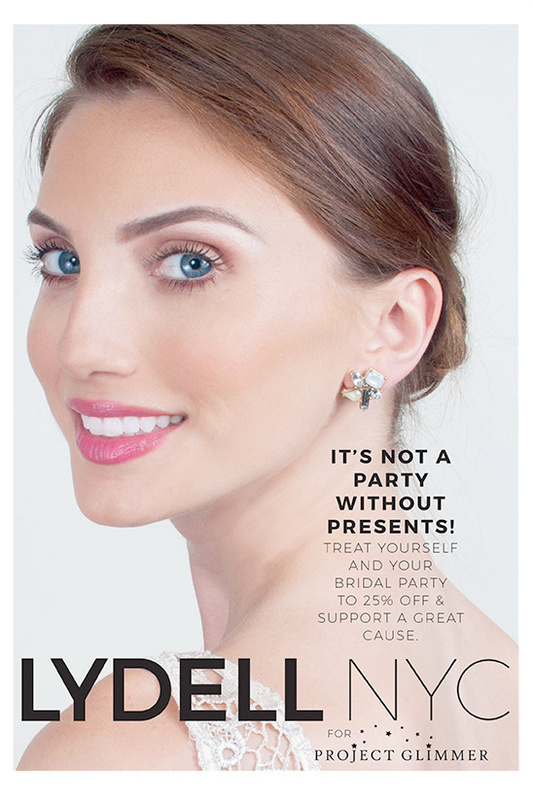 Lydell NYC is a fashion jewelry design house, a confidence booster, and your go-to source for a fresh, fun style! We focus on letting the real you shine through and empowering women everywhere. With roots in the heart of New York City, Lydell NYC has developed an ideal creative environment over the past 20 years that blends the area’s emerging trends with its concentration of fashion talent. To learn more about Lydell NYC follow us on Facebook, Pinterest, and Instagram.